Welcome to the Sharp Weight Management Store! Start shopping by selecting products from the categories on the left. o Allow at least one hour from the time you place your order to when you stop by to pick it up. o The Murphy Canyon and Mt. Helix locations are open from 8:30 a.m. – 5 p.m. Monday through Friday (except holidays) for pick-up. o Pick-up at the Rancho Bernardo site is only available on Mondays from 3-7 p.m. Staff are not there the rest of the week to fulfill orders. o Orders can be placed until 3 p.m. for same day pick-up. Orders placed after 3 p.m. will be available for pick-up the next business day (except at Rancho Bernardo). o At this time, Sharp employees will not receive their 10% discount on orders placed online. The discount is available for in-person purchases or orders that are phoned in. Call (858) 505-1400 to place Murphy Canyon or Rancho Bernardo pick-up orders and (619) 590-3300 to place Mt. Helix pick-up orders. o BeneFit bars can now be purchased individually for pick-up orders only. Orders for shipping must be full boxes (24 bars) of the same flavor. Should you have difficulties placing an online order, please call us at 858-505-1400, Monday through Friday, 8:30 am to 4 pm, Pacific Standard Time. For more information on Sharp Weight Management classes, programs, health tips and health news, subscribe to our Healthy Weight Management e-newsletter. Sharp Weight Management is proud to partner with Health Management Resources, a leading provider of medically supervised weight loss products. 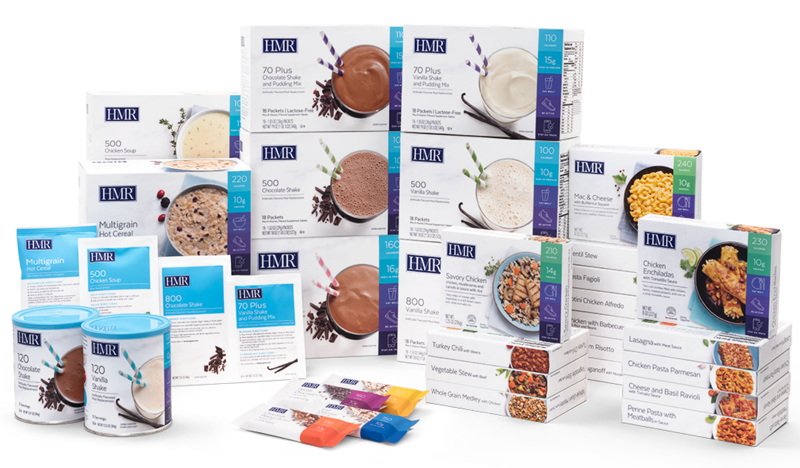 Sharp Weight Management offers HMR's nutritious, low-calorie shakes, entrees and bars. Named a 2018 "Best Diet" for fast weight loss by U.S. News & World Report, our advanced weight-loss program helps you get the most out of your experience.